You have a great plan for your website making and design. Now comes the time to host your website and choose a domain name. Before going to domain names you even have to select the type of hosting. Read our blogs to get an idea of the types of hosting and to understand each one of them. Why do you think domain names are so important? Domain name reflects the identity of your brand and it also affects SEO. The keywords in your domain name will have an effect on your SEO. Additionally, it is a sign of brand recognition. Choosing a domain name might look easy but it is not. Many times we won’t get the domain name we need because someone else has taken or maybe because of its high price. Choosing a domain name is similar to choosing a business name because that is going to be your identity in the world of web. It needs though process and therefore today we are going to discuss the best ways to choose the right domain name for your business. Before going through the domain name process let us see the structure of domain names. For e.g. http://www.want2host.com/ is a domain name. Here, HTTP is a prefix, www is a sub-domain, want2host is second level domain and .com is the extension. There is various kind of extensions and they are used according to needs. The various kinds of extensions are .org, .cn, .uk, .social, etc. sometimes domain extensions are chosen according to the country located. For e.g. domain extensions with .uk might be a company based in the UK. 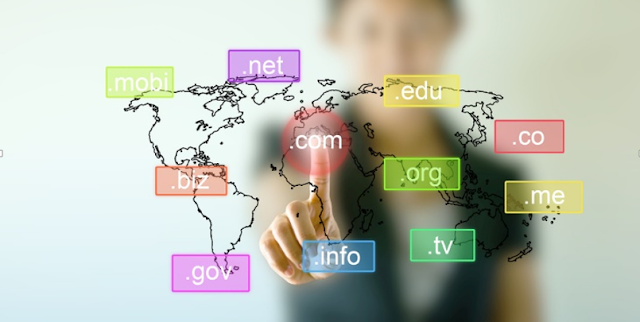 Now we’ll see the best ways to choose domain names. Using keywords in your domain name might give more sense to your customers about your brand. Keep in mind the keywords that people will type into their search engine. Additionally, keywords used in domain name helps the website to rank higher on search engines because it reflects what your brand is about. It is really hard to find a keyword that can fit your domain name. You have to combine and find the perfect one. It is always recommended to keep your domain name short. Short domain names make it easier for people to remember. Using keywords in the domain name is awesome but long tail keywords should be avoided. People forget long domain names and sometimes misspell the name. You may lose a lot of traffic because of this. If you have a local business, you can add the name of your area in your domain name. This will make it easier for local customers to find your business. A domain name that is catchy can influence people and also build brand recognition. Select a domain name that can be rememberable to people. Generic names are stuffed with keywords and many businesses choose domain names that are generic. Make sure that your domain name has brand value and reflects your business without explaining the product or service you provide. Using numbers and hyphens in domain names can end up creating confusion. Not even in your second thought think of using numbers. If your domain name contains number 1 then users might be confused if it is numerical 1 or one. Once you have chosen your best options for your site name, ensure you are not disregarding anybody’s trademarks. It is constantly great to check now since this could slaughter an awesome site and business. Likewise, in the event that you will incorporate some enormous name item, for example, Twitter or Facebook, audit their terms and conditions. Most of them will not enable you to utilize their name in any piece of your area. Think long-term before selecting a domain name because you cannot keep changing domain names. A change is domain name will cost you and even hurt your SEO rankings. Therefore, make sure that you select a domain name that can be long-term and defines your brand. Domain generators can help you to turn your ideas into creative domain names. There are various free tools that can be used for generating original fresh domain names.